When I went to China for the first time in 1990, my first stop was Beijing. Looking out from the Beijing International Hotel were blocks of Hutong (narrow alleys of the residential area) leading to the Beijing Central Train Station. The thing that impressed me the most was the number of bicycles I saw during the “rush hours”. I went back to the same hotel again several years ago only to see that the Hutong had been replaced by high-rises, and the bicycles had been replaced by automobiles. This year, I saw the bicycles return to the city—through the rapid expansion and viral popularity of bike sharing. Bicycle sharing is not a new thing in China, or in many other major cities: Ann Arbor has bike sharing, Taiwan has bike sharing, and even Detroit has bike sharing. However, no bike sharing program (or any kind of sharing program) has grown at such an incredible speed like the one in China. 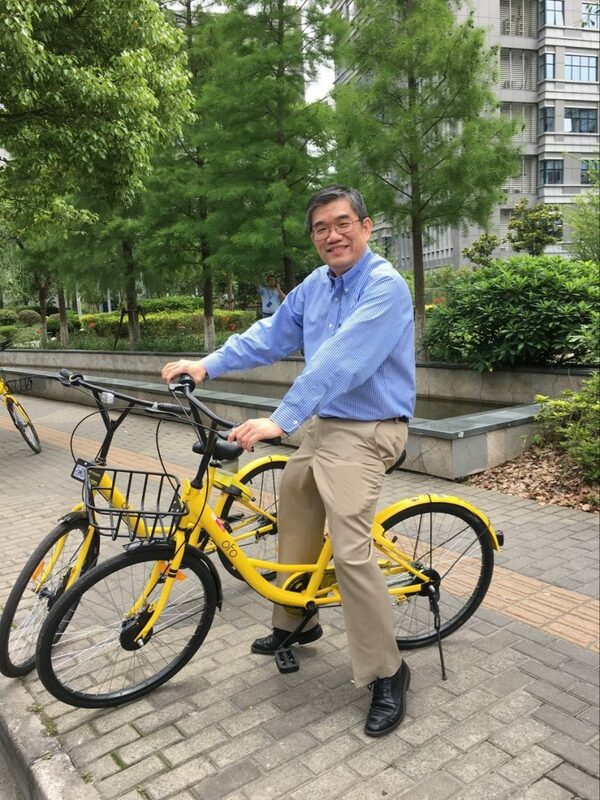 When I went to China earlier this year, I saw all these yellow and orange bicycles in front of our Shanghai office. I asked, “Whose bikes are these?” I was told that these bicycles can be shared at about 10-20 cents. The orange ones were from MoBikes, while the yellow ones were from Ofo, and they currently dominate the market similar to Uber and Lyft for cars. Throngs of bikes at rush hour in Beijing. It is not just a bike–It is an ecosystem driven by technology. Modern technology has made it so easy for commuters to become riders. The bike is equipped with a small tracking device for the bike to be found. It also has a small solar panel so that the small onboard electronics are always charged. The mobile app can be used to find the bike, unlock the bike by scanning the QR code, pay for the bike, all in an extremely easy to use UI. Most people in Beijing still do not have cars, so they are used to relying on public transportation. Bikes help people get from public stations to destinations. Every first-tiered city has millions of people now taking a bike from stations and parking lots to their final destinations. Plus, these bikes are used by people of all ages. China’s rules and regulations are very lenient on where the public bikes can park. Although this might change soon, it increased the sudden presence of these bikes everywhere. MoBike’s and Ofo’s idea was to get the user base first, then worry about the potential rules and regulations. The return of bikes in China is spectacular. 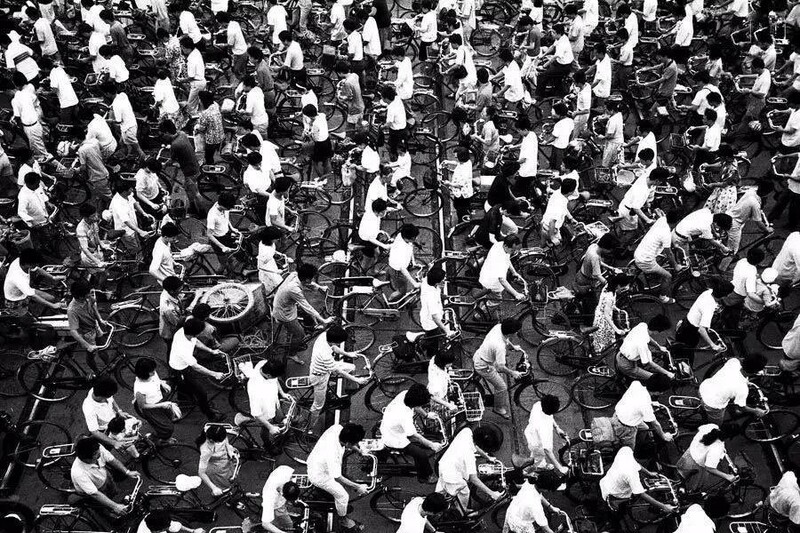 I had never seen that many bikes in one place before my trip to China in 1990. I have never seen this many shared bikes as I see in China now, and am intrigued to see where the industry takes us next. Yes indeed! Will the huge china market evolve from bike to auto dependence or skip driver phase and go straight to autonomous, or remain bicycle dominant?